Steve grew up on a farm in Lamberton where they raised hogs, sheep and beef cattle. He was very involved in FFA, serving as chapter president his senior year and was a good judge of meats, as he won the district contest four years in a row. He went on to college at the University of Minnesota and majored in Agriculture Education. His summer job was working at the Minnesota State Fair. In 1980, the 4-H market livestock show was added to the State Fair. In 1983, a milking parlor was built in the Cattle Barn. In 1992, Barn Tours were brought to the fair to educate the public about livestock. In 2000, the Minnesota Beef Expo began; formed by Steve and Mark Goodrich. In 2006, the “Miracle of Birth” exhibit, which annually attracts in excess of 1,000,000 people, was built to educate consumers about animal agriculture. In 2009, the renovated “Moo Booth” was constructed in the Cattle Barn to educate consumers about the cattle industry. The Minnesota State Fair remains one of the few fairs in the country that can boast of full livestock barns during their fair. Their FFA and 4-H shows are unequaled. Steve has served as secretary-treasurer of the Minnesota Livestock Breeders’ Association since 1992. Under his leadership, the “Purple Ribbon Auction” has grown from $30,000 in total premiums in the early 1990’s to over $300,000 each of the past two years. Twenty percent of those dollars support 4-H scholarships and financial support for 4-H animal science development programs throughout the state each year. He also championed an effort to install a podium with the biographies of all the MLBA Livestock Hall of Fame in Haecker Hall at the University of Minnesota, which was accomplished in 2007. He also assisted with the coordination of the first 4-H Dairy Showcase in 2009. Steve was a member of the National Agriculture Committee of the International Association of Fairs and Expositions, and was its chairman in 1995. He chaired the committee that developed the “Code of Ethics”, the standard for rules and ethics for livestock shows in the US. 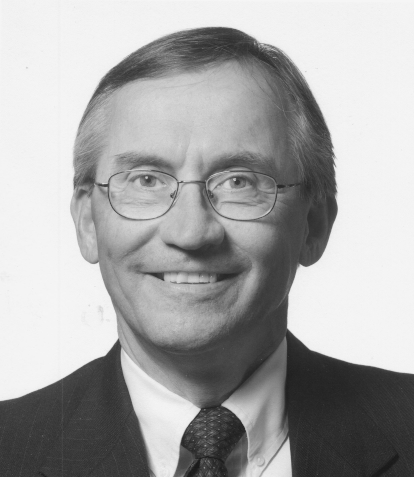 In 1985, he received his “Certified Fair Executive” certification, based on his leadership and presentations on fair topics.He was on the board of Minnesota Ag in the Classroom for six years, serving as Board Chair in 2000.He helped found a charter school (Academy for Science and Agriculture) for agriculture in the Twin Cities and served on its first School Board as well as serving as Chair of its Advisory Committee.He was the chairman of Minnesota Forum for Animal Agriculture for two years in the 1990’s. He has received many awards over the years, including being a member of the Minnesota FFA Hall of Fame in 2004.